Adorable. Your girls have the sweetest smiles! 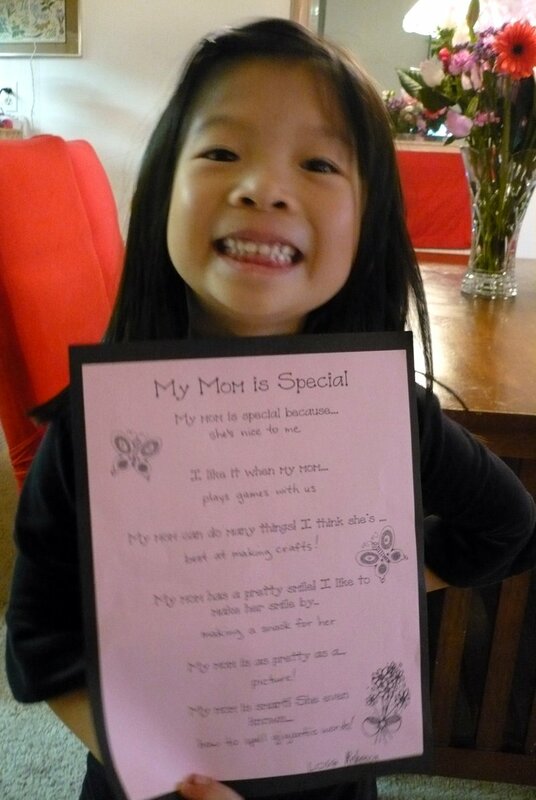 And I love the "My Mom is Special" pronouncement. 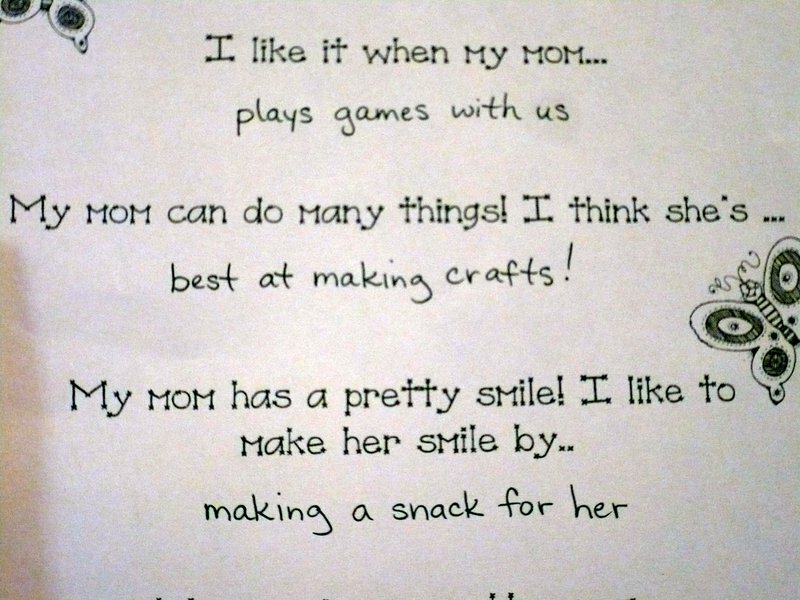 It sounds like you had a great Mother's Day! 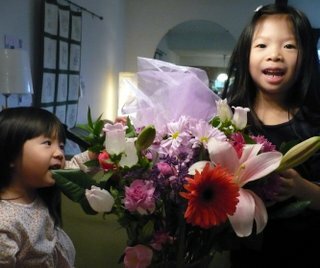 The girls are so sweet! Pretty flowers and cute craft. I love it when the kids do the 'honest' interview questions. Priceless. Happy Mother's Day!!! 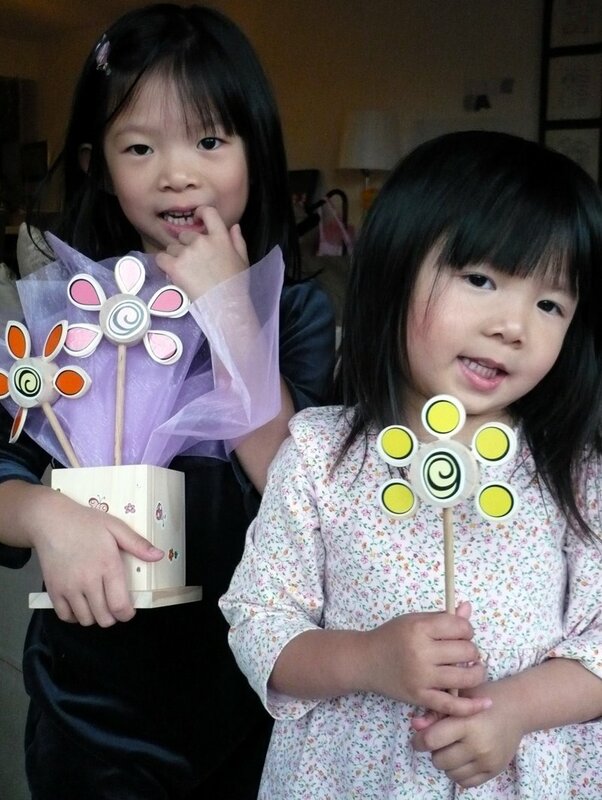 Your little sunshine girls are so sweet! They look so cute with all those pretty flowers! And the poem is great too! It's very important that they know the mom is the best crafter in the world!! As always, your kid photos are my favorites in blogland! Happy Mother's Day, Michelle! Oh so cute! It sounds like you had a perfect day. Your girls are very sweet. Oh..Cupertino's Todai..my favorite (especially on birthdays!). Glad your day was special.